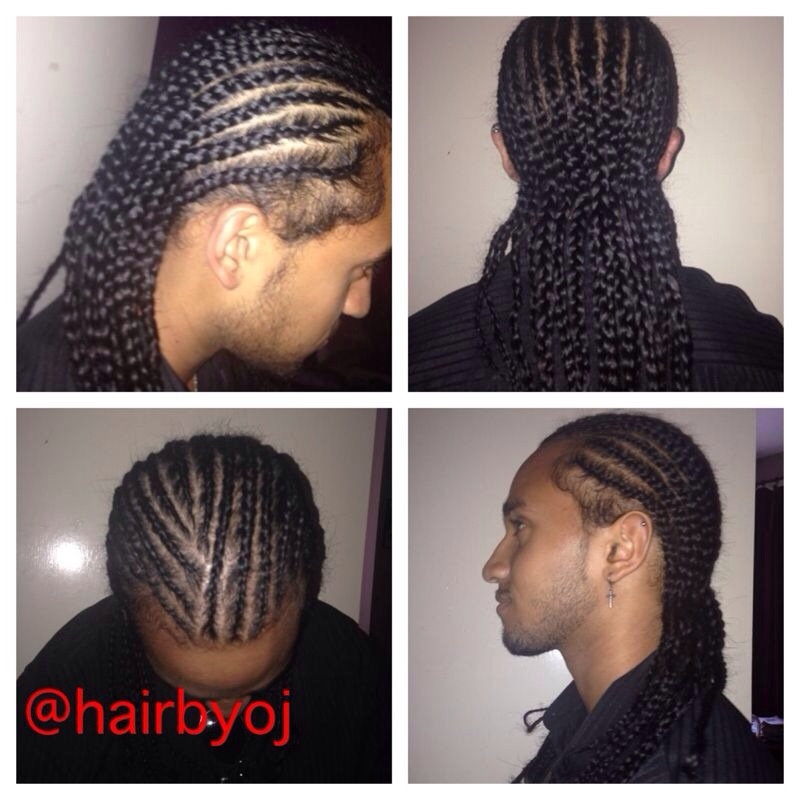 This male client requested braids (or conrows if you prefer), he preferred for them to be braided all the way back. I slightly slanted the direction of the cornrows to add some character to his hairstyle. It is the perfect type of protective style for any natural hair individuals as cornrows are easy to maintain and quick and easy to install, as well as remove. After the braids were done, I applied some setting mousse and sat the client underneath the dryer for half of an hour to diminish any fly away’s and preserve a fresh and neat look. 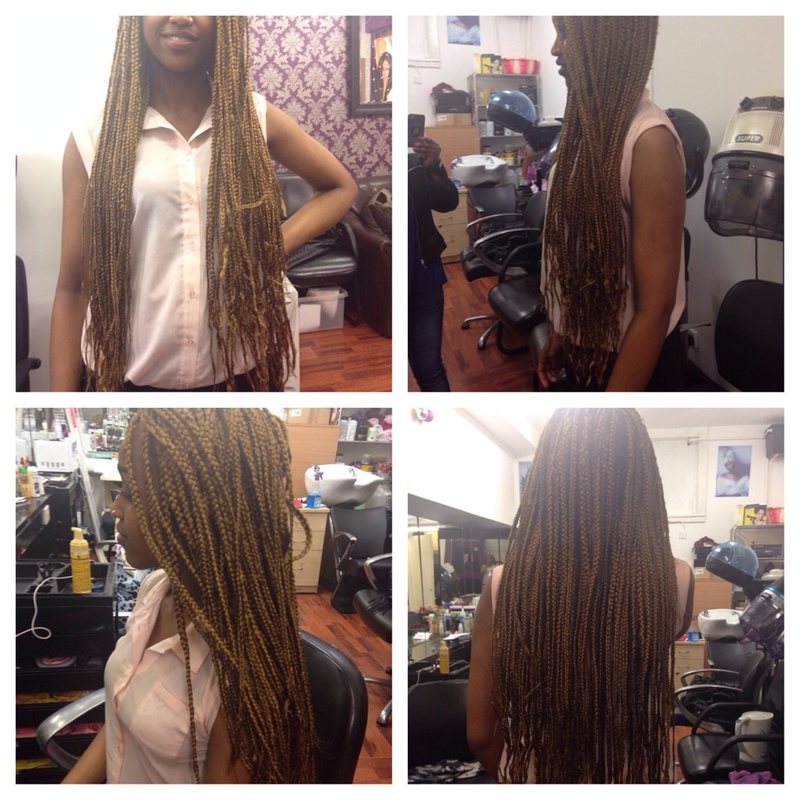 This client requested the infamous chunky, exceptionally lengthy box braids, but with a twist of course- she wanted to go completely blonde! 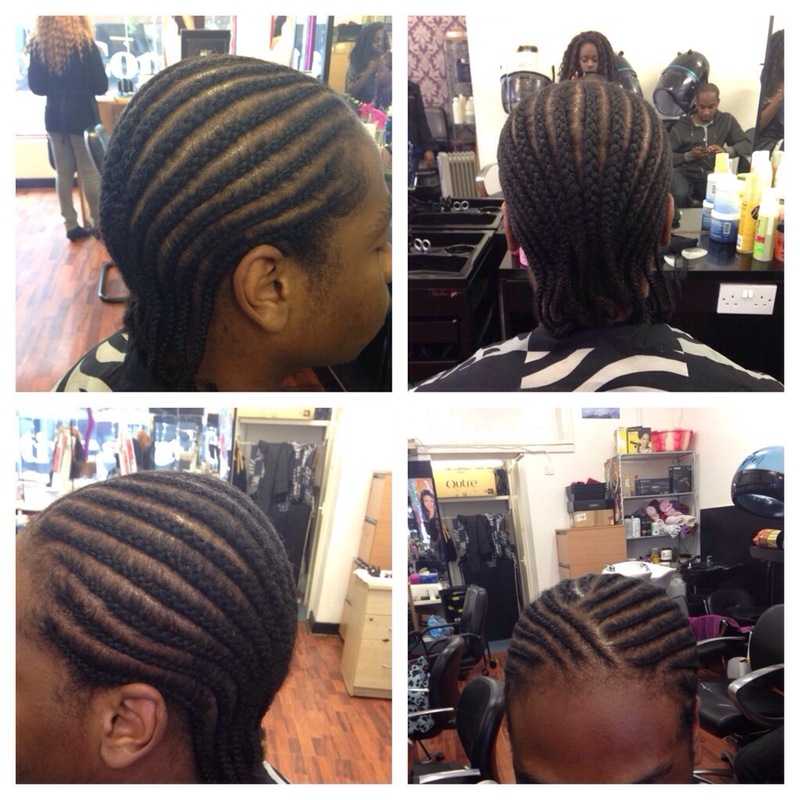 I personally think this is one of the best looking braids I have installed as It greatly complimented the client. She had dyed her hair a honey blonde colour prior to het installment, and so the braids blended with the colour of her roots and hair perfectly! This client had Indian type silky hair, although it was very soft and silky, it also had a very thick texture which made it easier for me to grasp whilst cornrowing it. I cornrowed it going all the way back to encourage a more masculine, yet stylish appearance- especially considering his hair was past shoulder length – obtaining a masculine appearance is key.